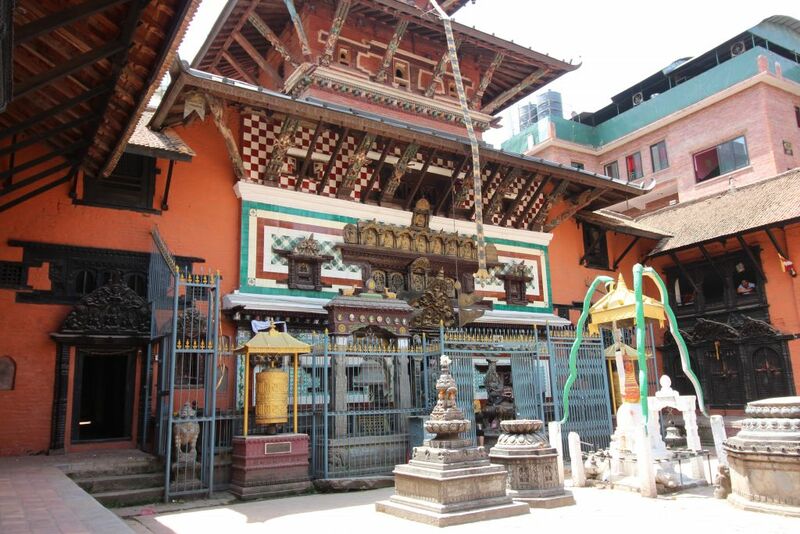 Milling about Patan I learned about the Kumari Devi – Nepal’s living goddess. 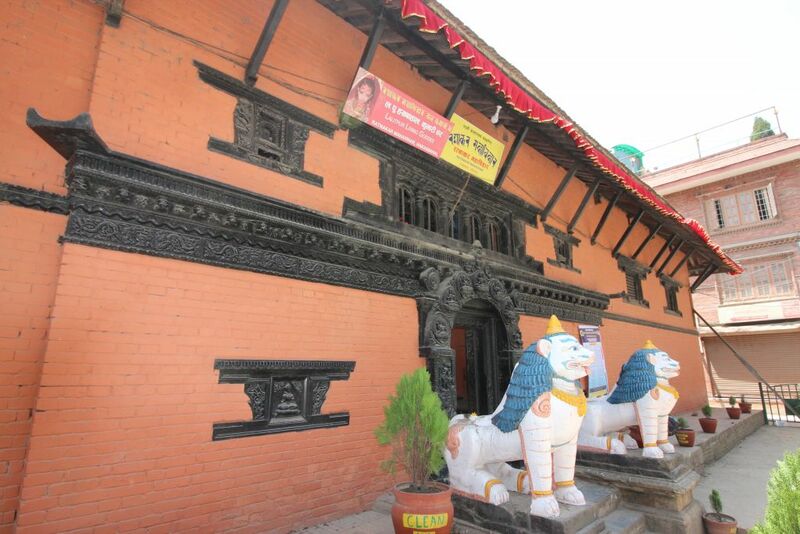 At the junction of Patan Durbar Square was the home of the Kumari, the girl who is selected to be the town’s living goddess and a living symbol of Devi – the Hindu concept of female spiritual energy. She was selected at three years old, and will live here until just before puberty. It is tradition that after the living goddess has her first menstrual cycle they find a new one and the search begins again. “We have to make sure that the goddess is suitable to bring good fortune for the country,” said Nepali priest Gautam Shakya. Her feet must never touch the ground until she is replaced, and will be carried everywhere she goes. It was the Nepali New Year festival, and complete bedlam ensued outside the Kumari temple. I slid inside the inner courtyard unseen. Surprisingly empty, I was probing the tiny passages when I encountered a woman seated in a small room. 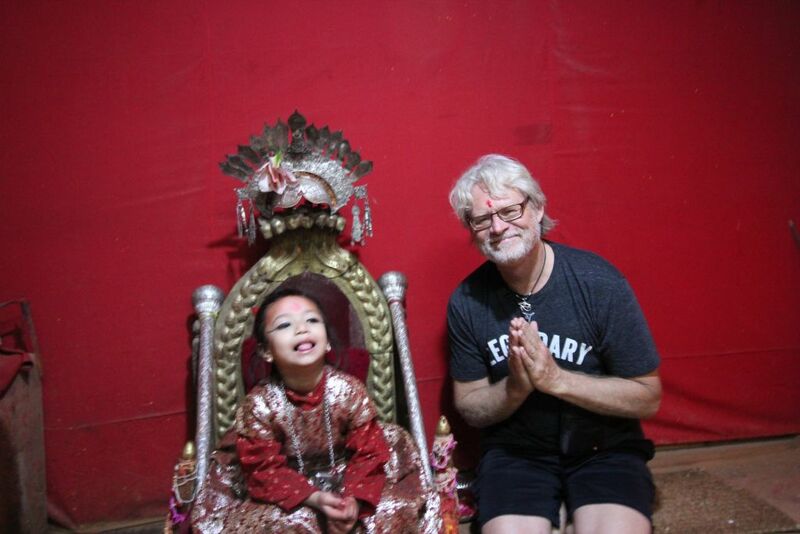 I acted lost and innocently inquired about the young Kumari goddess; turned out I was speaking with her mother, and she asked if I would like to meet the living Goddess. Stunned, “Yes!” was my answer. We walked up two very narrow flights of stairs to a room filled with flowers and rich red carpets. The walls were painted a deep red, and a tiny golden throne sat center, she motioned for me to wait here. I had come to catch a glimpse of the living goddess and sneak a photo, not to meet her, I was actually nervous to meet this little girl. The woman appeared carrying the young child, and placed her in the golden throne. “Would you like to be blessed?” she inquired; “Yes,” I nervously replied. The young girl was very sweet and smiled as she smudged my forehead with orange dye. Her mother saw my camera hanging around my neck and asked if I would like to take photo. Knowing that photos are forbidden, and since I had gotten this far, I asked if I could get a picture with the Kumari. To my surprise, she agreed. No flash is allowed and the room was dark, and mom graciously took the shot. What an unexpected surprise! As I left, the palace resonated with chanting and temple bells. The courtyard was filled with the faithful anxiously awaiting the appearance of the living goddess from the balcony to give darsana to all. Darśana (Sanskrit “view, sight”) is the auspicious sight of a deity or a holy person.